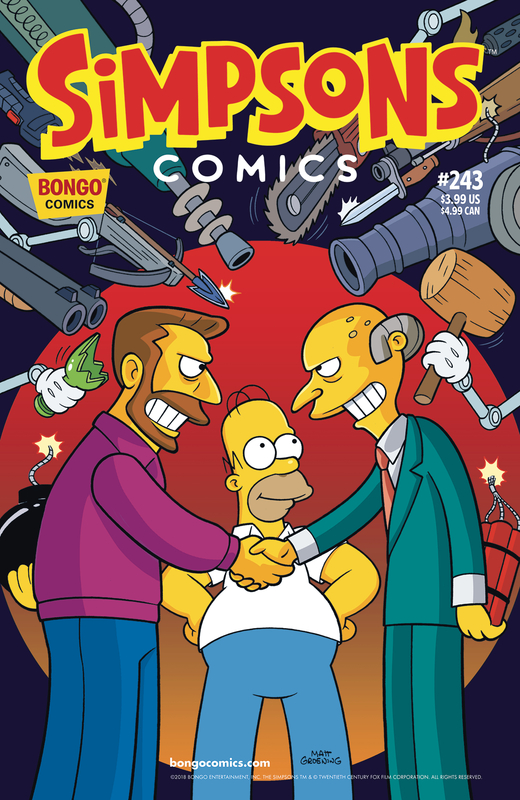 Simpsons Comics #243 is the two hundred and third-second issue of Simpsons Comics and will be released on April 18, 2018. 2.1 Springfield is Not Enough! "Hank Scorpio returns, and as a newly civic-minded man, he sets his sights on becoming Mayor of Springfield. Once in office, the city thrives, but does the former megalomaniac have community reform on his mind or are his municipal machinations a bit more… global?" Main article: Springfield is Not Enough! Modified on July 26, 2018, at 16:02.